Roland Corporation is previewing the GO-61P GO:PIANO at the CES in Las Vegas this January. The piano is primarily aimed at the beginner/intermediate piano student. The price is expected to be just over 300 USD. The GO:PIANO is a battery powered portable/lightweight instrument with 61 full-size piano keys and features a full professional sound library with 128-voice polyphony. 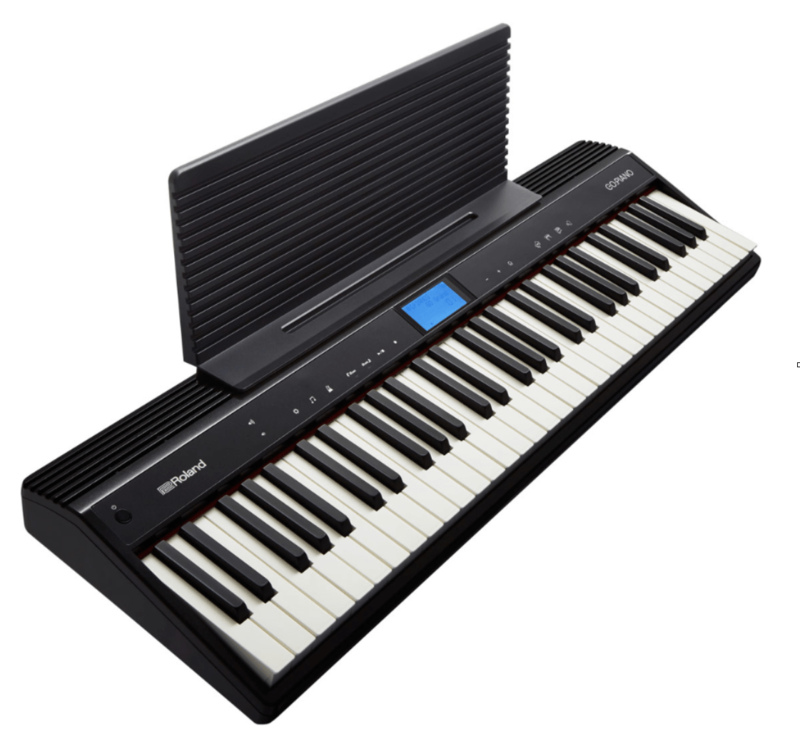 The keyboard has Bluetooth audio/MIDI connectivity (for smartphones, tablets, etc.) as well as on-board speakers.